US Customs and Border Protection has agreed a reciprocal arrangement between its US Global Entry programme and Germany’s Easy Pass. Both schemes allow expedited clearance for pre-approved, low-risk travellers. 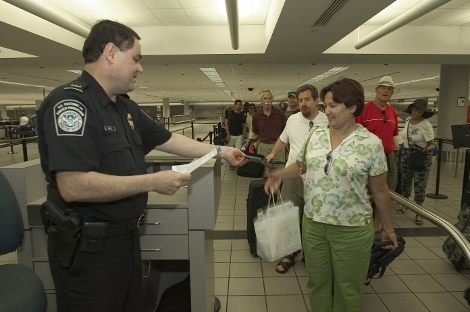 The Customs and Border Protection (CBP) Global Entry programme is available at 42 US airports and 12 pre-clearance locations, has more than 1.8 million members enrolled and approximately 50,000 new applications are filed monthly. Global Entry members are also eligible to participate in the TSA (Transport Security Administration) expedited screening programme. Germany’s Easy Pass is an automated border control system available to registered third-country nationals when entering Germany. Easy Pass uses e-gates as a simple, quick and convenient alternative to traditional border controls. US citizens, US nationals and US lawful permanent residents may apply for Global Entry, along with citizens of certain other countries with which CBP has trusted traveller arrangements. These include Mexico, the Netherlands, Panama, the Republic of Korea and now Germany. (Full list here, although note the UK is not included.) Canadian citizens and residents enrolled in Nexus (a Canada-US border clearance scheme) may also use Global Entry. German citizens must first register with the German Federal Police at an Easy Pass enrolment centre in their home country. After, the German Federal Police will notify CBP that the applicant is eligible to apply for Global Entry using the Global Online Enrolment System (GOES). There is a non-refundable fee of US$100 for a five-year Global Entry membership, with applications made online. If the request is approved, the applicant will schedule an interview with a CBP officer to determine the applicant’s eligibility. German citizen Global Entry members will have to re-register for Global Entry with the German Federal Police after their second year of membership.